Santa Maria was used by Columbus during his first voyage. She was the largest of the three ships used by Columbus but no one has seen this ship. Juan de la Cosa was the owner and master of the ship. 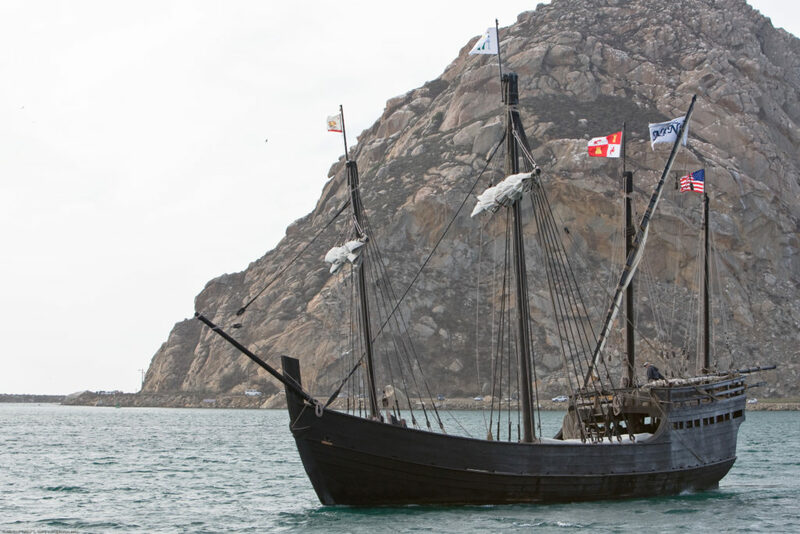 The original name of the ship was La Gallega but it was renamed as Santa Maria by Columbus. 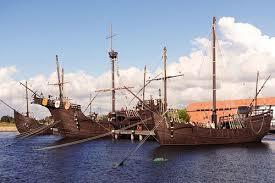 Santa Maria was a nao or a ship had three masts namely- fore, main and mizzen. Each of the masts carried a large sail. The foresail and the mainsail were square while the sail on the mizzen was triangular. The ship was slowest of the three vessels. It was originally built as a merchant ship and it weighted between 200-600 tons. The length of this ship was around 18 meters. During the voyage Santa Maria ran aground and was thus abandoned by Columbus and his crew. It was a caravel-type vessel and was the fastest of three vessels. The captain of this ship was Martin Alonso Pinzon. Not much information is available about Pinta. 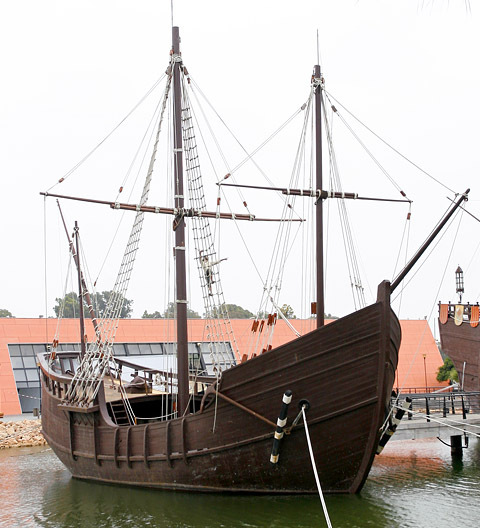 It is believed that Pinta weighed between 60-70 tons and its length was about 17 meters. It is also assumed that she had three masts . Nina was the smallest of three ships. Vicente Añes Pinzón was the captain of this ship. The owner of the ship was Juan Nino. The weight of the ship is believed to have been around 50 or 60 tons and its length would have been around 15 meters. Nina was a caravel-type vessel. She initially had lateen sails on all masts but these were later re-fitted with square sails. After the modification Nina was the best sailing ship. It is believed that she had four masts.